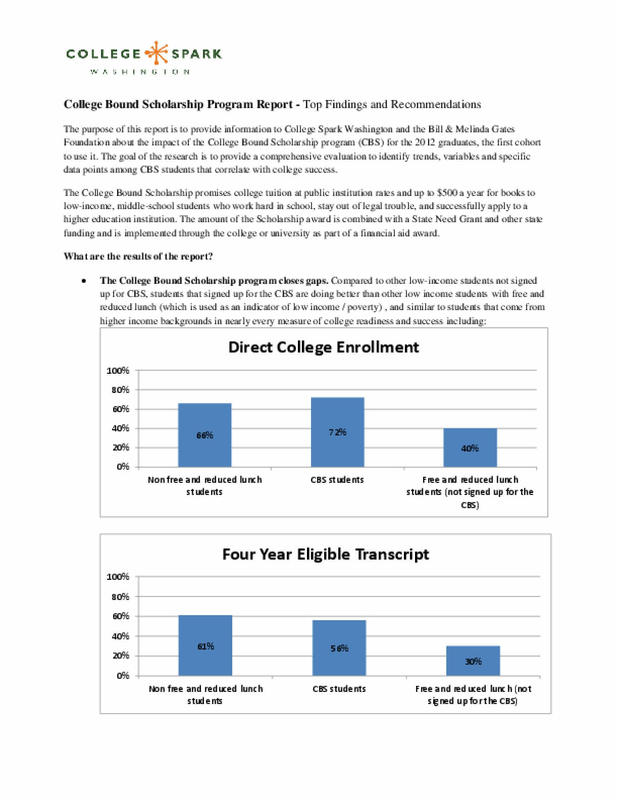 The purpose of this report is to provide information to College Spark Washington and the Bill & Melinda Gates Foundation about the impact of the College Bound Scholarship program (CBS) for the 2012 graduates, the first cohort to use it. The goal of the research is to provide a comprehensive evaluation to identify trends, variables and specific data points among CBS students that correlate with college success. Copyright 2014 by College Spark. All rights reserved.